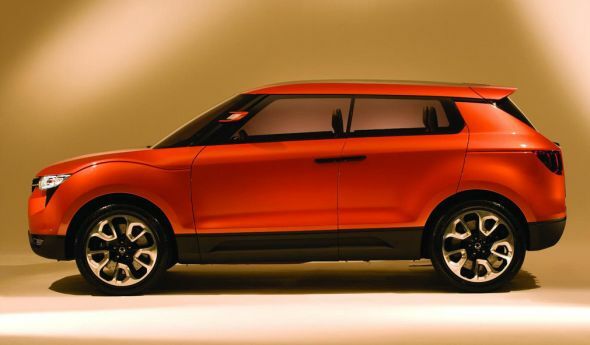 Snapshot: Come 2015, Mahindra & Mahindra could launch the production version of the Ssangyong X100 compact crossover (code-named the S102) in India, as a rival to the hot selling Ford EcoSport. The X100 compact crossover could use a 1 liter turbo petrol engine that Mahindra and Ssangyong are jointly developing for use in their future utility vehicles. This turbo petrol engine is said to pack in technologies such as variable valve timing and direct injection. 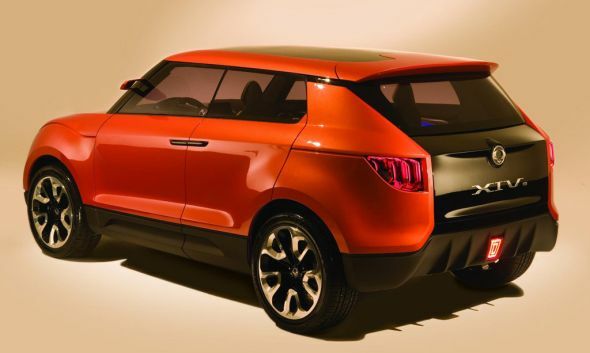 Mahindra and Ssangyong are working together on platform and engine development. One such new platform (X100) is the one that plays host to the Ssangyong X100 crossover concept, a budget rival to the Nissan Juke globally. The production version of the Ssangyong X100 Crossover is likely to be sold with newly developed 1.6 liter petrol and turbo diesel engines in global car markets. The Ssangyong X100 crossover will be built on both left hand drive and right hand drive configurations to suit a variety of car markets. The production version of the X100 will hit international markets early next year, with an official unveil at this year’s Geneva Motor Show. 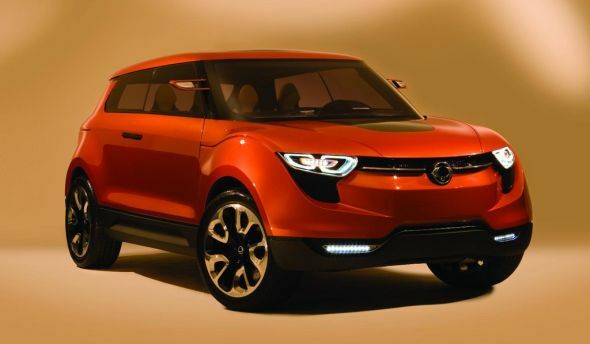 India’s tryst with Ssangyong’s latest compact SUV could happen in late-2015 or early-2016, before which the S101 budget SUV – also developed jointly by Mahindra and Ssangyong – will be launched here. For the Indian car market, Mahindra could tap into its existing diesel engine range and pick out the 1.5 liter-triple cylinder twin turbo diesel engine that’s found on the Quanto, and outfit this motor into both the S101 and the S102 (X100) compact SUVs. While the S101 compact SUV will be positioned well under the Ford EcoSport, instead rivaling B-Segment hatchbacks, the S102 (X100) crossover will take on the EcoSport and C-Segment sedans. Interestingly, the Mahindra-Ssangyong X100 utility vehicle platform seems to be a versatile one what with the latest rumours suggesting that another product – most likely a compact MPV (code-named the S103) – could be spun out of this platform. Notably, all vehicles in Mahindra-Ssangyong’s X100 platform will feature a monocoque design in favour of crisper road handling, lower manufacturing costs, lower weight and higher fuel economy. A front wheel drive layout will be standard on all vehicles based on the X100 platform while we – judging by global trends – infer that a platform design flexible enough to support all wheel drive functionality will not be lost on Mahindra-Ssangyong. « Rumour: 2015 Ford Endeavour SUV to make its debut in India on the 3rd of February?